A lecture on Visitations was given by Dr Peter Smith on 10 October 2018 at the London offices of Winckworth Sherwood. On 11 October 2018, Sir Philip Mawer gave a lecture on the operation of the House of Bishops’ Declaration on the Ministry of Bishops and Priests. The August/September 2018 edition of our newsletter is now available. Download. The Charity Commission’s 2018 Annual Return Service is now open for charities to submit their returns online. The new rules on the automatic disqualification of trustees and senior managers under the Charities (Protection and Social Investment) Act 2016 come into operation today, 1 August. The July 2018 edition of our newsletter is now available. Download. 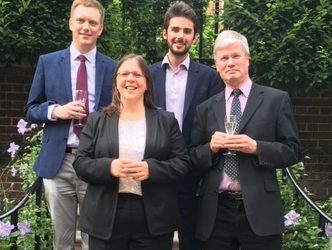 The Ecclesiastical Law Society sponsored 2018’s Inter-Inn Mooting competition, which concluded with the final on 3 July 2018. The Faculty Jurisdiction Rule Committee has announced a consultation on the 2015 Faculty Jurisdiction Rules. The June 2018 edition of our Newsletter is now available. A new series of Northern Province Lectures has been announced for 2018. 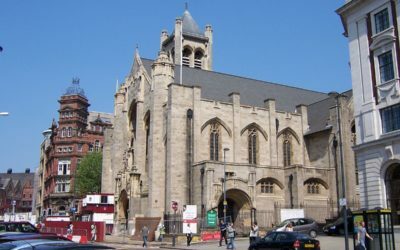 Speakers include Sir Mark Hedley, Deputy President of the Clergy Discipline Tribunal; Mark Hill QC, ELS chairman and Chancellor of the Diocese of Leeds; and Sir Philip Mawer, former Independent Reviewer. 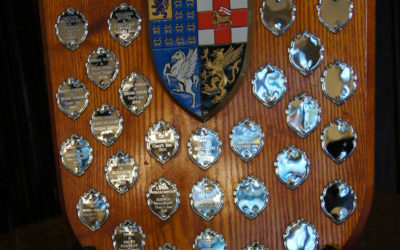 The final of the Inter-Inn Moot Competition, sponsored by the Ecclesiastical Law Society, will be held on Tuesday 3 July at 6:30 pm in the Old Hall of Lincoln’s Inn. A reminder that there are two free ELS lectures taking place this July, open both to members and non-members.